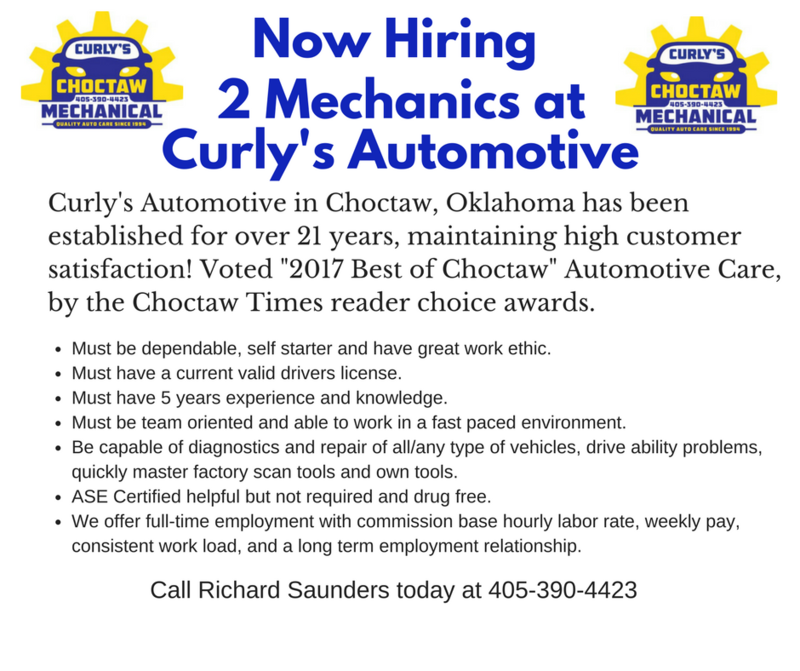 Curly’s Automotive in Choctaw Oklahoma has been established for over 21 years, maintaining high customer satisfaction! Voted “2017 Best of Choctaw” Automotive Care, by the Choctaw Times reader choice awards. Call Richard Saunders today at 405-390-4423.